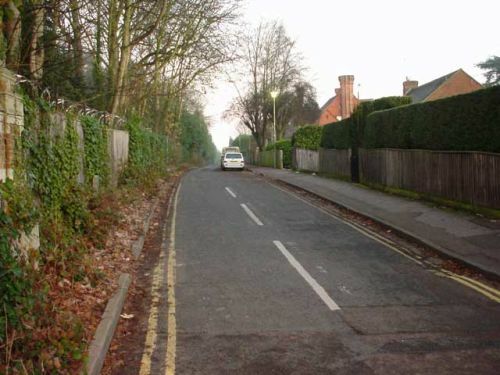 Hop Gardens is a residential road that runs alongside Friar Park in Henley-on-Thames. This picture shows Hop Gardens. The barbed wired on the fence is there to prevent entry to the Friar Park estate.